The six-time Super Bowl Champ told the students that the choices they make in life matter and that decisions have consequences — both in the classroom and in their social lives. Birk said that his life has been full of struggles followed by accomplishment and no successful person has always been successful. It’s through failure that successful people learn to achieve. Birk is a former NFL All-Pro center and six-time Super Bowl champion. He was drafted by the Minnesota Vikings in the sixth round of the 1998 NFL Draft, and later played for the Baltimore Ravens. He established the HIKE Foundation in 2002, which seeks to “impact the lives of at-risk children by providing interactive programs and resources needed to guide a child through the key educational transitions between elementary, middle, high school and college. “The foundation launched “Ready, Set, Read!” in select Baltimore area public schools in the fall of 2010. The program works with about 100,000 Baltimore students on improving their reading skills through an incentive-based system. In 2011 Birk received the Walter Payton Man of the Year Award for his commitment to improving literacy among at-risk youth. Playing Field Promotions is a booking agent for motivational sports speakers and celebrities. 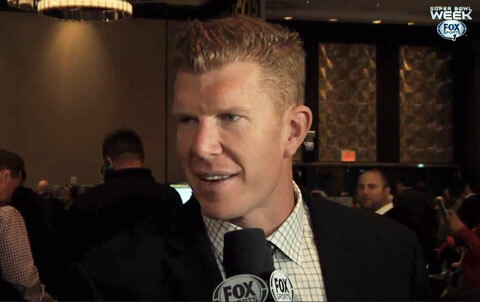 If you would like to book football speakers or NFL stars like Matt Birk for a speaking engagement, personal appearance or special event, you can request Matt Birk agent and speaker information from PFP Sports & Celebrity Talent or call 800.966.1380.